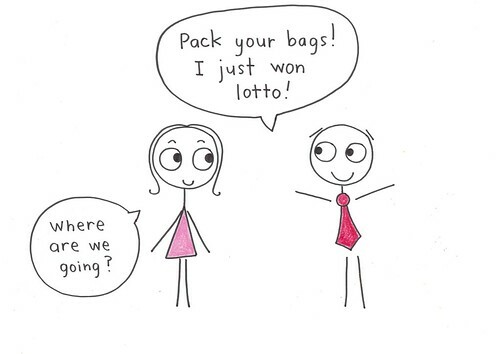 "A guy comes home and yells to his wife: Pack your bags! I just won lotto! 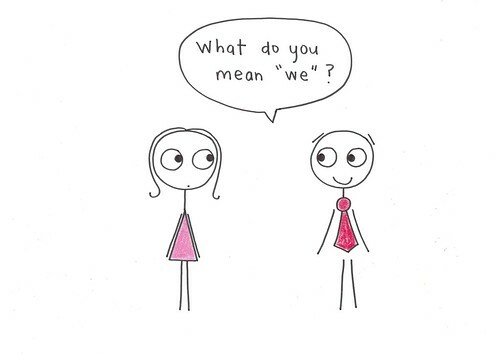 What do you mean, ""we""? From Friday Joke on show 1072.